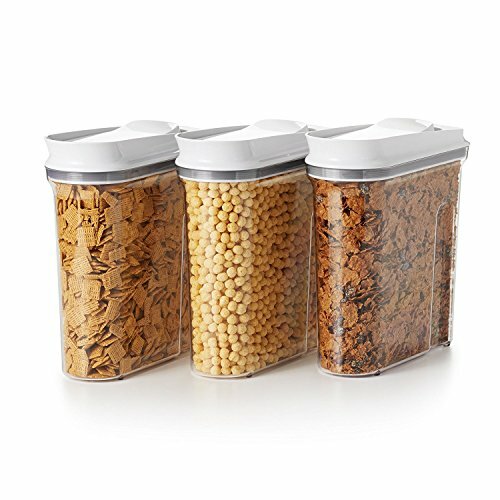 The OXO Good Grips POP Cereal Dispensing Containers are airtight and space-efficient, making it easy to keep your cereal, granola and snacks fresh and your kitchen organized. 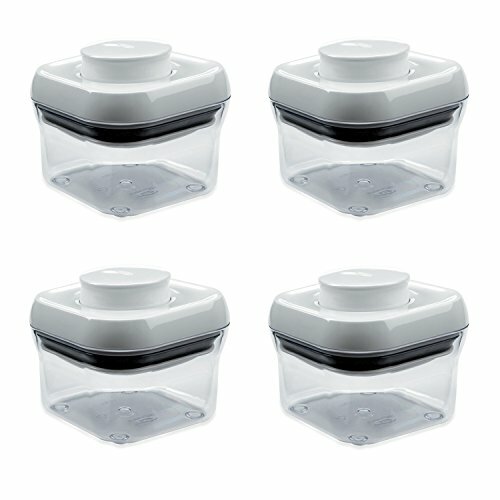 The Containers have a unique pop-open lid for one-handed opening and closing that creates an airtight seal with just one touch. 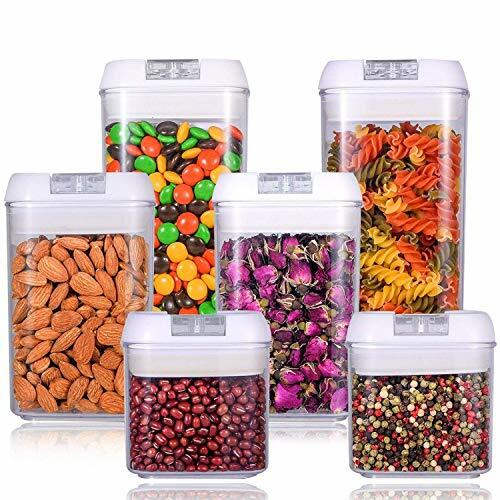 The contoured Container is comfortable to hold, even when the Container is full and the round opening is shaped for even, controlled pouring. 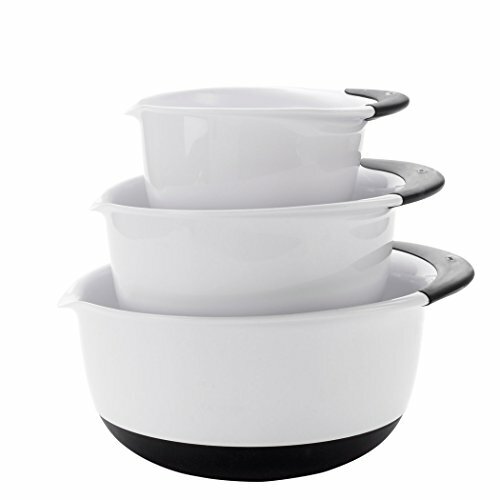 The narrow shape is perfect for storing on countertops or in cabinets and is also great for other dry foods like flour, rice and more. 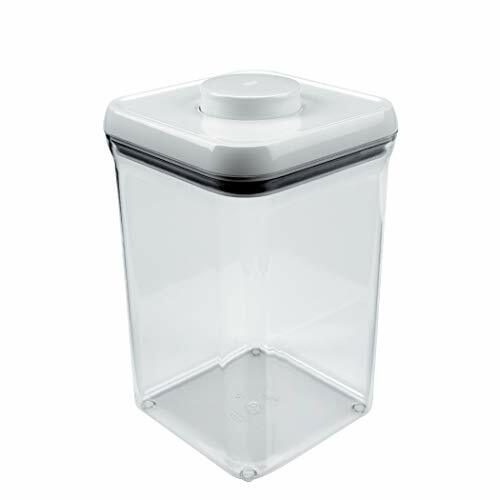 The lid is easy to remove for cleaning or refilling and the lids are interchangeable between sizes. All POP Containers are BPA free. With the OXO Good Grips Soap Dispensing Dish Brush, nothing stands between you and that sink full of dishes. Gently push the non-slip button to release the right amount of soap for all kinds of scrubbing; the carefully engineered dispenser valve prevents dish soap waste and dripping when not in use. Durable nylon bristles are safe for non-stick cookware, bakeware, wine glasses – even crystal. Tough job? No sweat. The built-in scraper removes baked-on food with ease. It’s easy to refill: just unscrew the cap to add soap, replacing the cap engages the leakproof seal. When it's time for a new brush head, simply push up on the tab to swap it out. Replacement brush, sponge, scrub heads sold separately. The OXO Good Grips Combo Toilet Brush and Plunger Set keeps your bathroom cleaning tools neat and together in one convenient canister. The compact footprint is ideal for narrow spaces, like between the wall and toilet. It also keeps the Brush and Plunger covered and discreet, no matter where you store them. The canister doors pop open and stay open when you remove the Toilet Brush or Plunger. When you're done cleaning, simply place the tool back in the canister and the doors close automatically. 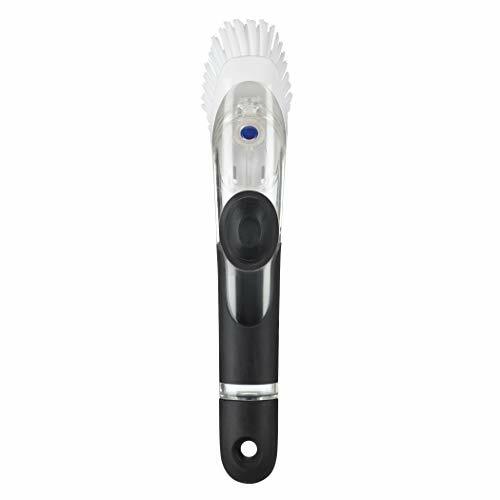 The Toilet Brush has a tapered head with durable bristles for thorough cleaning and the Plunger works on all toilets, including low-flow. 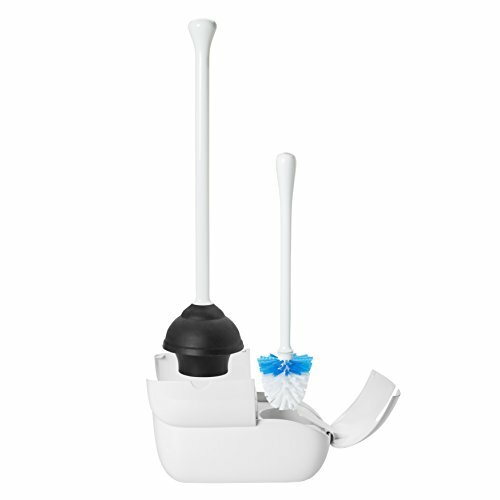 The Combo Toilet Brush and Plunger Set is so neat and discreet, it will have you whistling while you work!. The OXO Good Grips Pressure Cooker Sling lets you seamlessly remove bakeware from 6- and 8- quart pressure cookers or multi-pots -- fumble free. Make cheesecake, lasagna, steamed rice and even mini frittatas in your pressure cooker without worry, thanks to the durable, easy-to-use design. 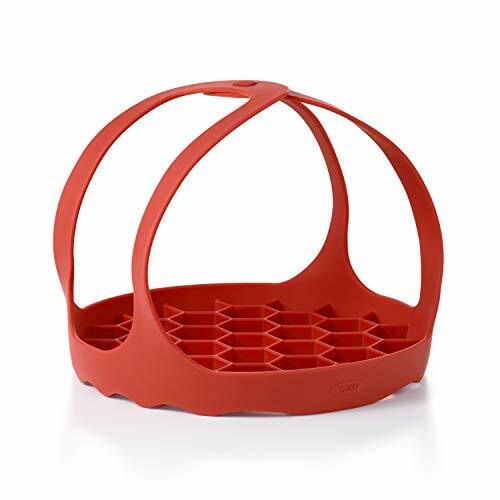 Food-safe, heat-resistant silicone construction elevates dishes and springform pans above water for even cooking, and the interlocking handles fit neatly under lids while staying safely above food. Dishwasher safe. 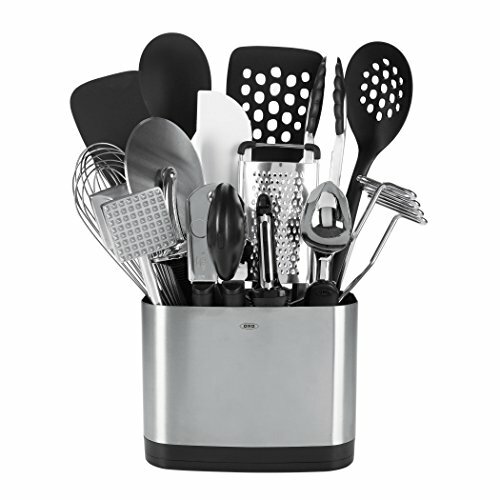 Have all your essential kitchen tools in quick reach with OXO GOOD GRIPS 15 Piece Everyday Kitchen Tool Set. With our slim-lined, space efficient Stainless Steel Utensil Holder, you'll be able to store a collection of OXO's most important every day kitchen tools and gadgets. This set includes our Stainless Steel Utensil Holder which holds our Nylon Flexible Turner, 12" Tongs with Nylon Heads, Nylon Square Turner, Nylon Spoon, Nylon Slotted Spoon, Grater, Swivel Peeler, Ice Cream Scoop, Potato Masher, Soft-handled Can Opener, 11" Balloon Whisk, Silicone Spatula, Meat Tenderizer and a 4" Pizza Wheel. 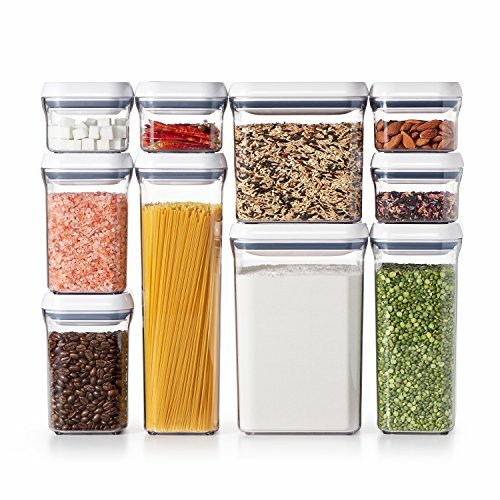 Whether it's your first set of kitchen tools or enhancing your current set, the OXO 15 Piece Everyday Kitchen Tool Set will bring value, function and style to any kitchen. Compare prices on Good Grips at LiveSaler.com – use promo codes and coupons for best offers and deals. We work hard to get you amazing deals and collect all avail hot offers online and represent it in one place for the customers. Now our visitors can leverage benefits of big brands and heavy discounts available for that day and for famous brands. We try to makes comparison shopping easy with Product Reviews, Merchant Ratings, Deal Alerts & Coupons. Find Deals, Compare Prices, Read Reviews & Save Money.